Our Mission: The Deck Store is committed to providing our online and retail customers with top quality products at competitive prices. Armed with decades of experience in the deck industry and an expansive, updated product catalog, we have the expertise to help you find what you need for your deck or outdoor living space. Our Physical Store: The Deck Store is based in Apple Valley, MN, where we operate a retail store, large warehouse and offices. We have a solid foundation in our local community, and have been featured in local papers, magazines and on TV. 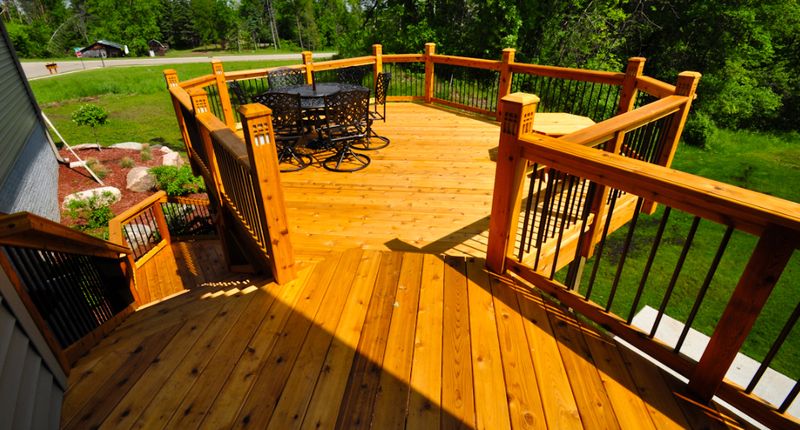 We pride ourselves on providing high quality deck building products and supplies – along with knowledgeable advice and instruction – to homeowners and contractors alike. If you are in the area, be sure to drop by our showroom, which is one of the largest in the Midwest, to see our products, and chat with our friendly staff in person. Our Online Store: In 2009, we decided to make our product offerings and knowledge available to homeowners and building pros nationwide. TheDeckStoreOnline.com has served thousands of customers, delivering the same high quality products that local customers have come to count on. Our Founder: Bob Heidenreich is the founder and owner of The Deck Store. With over 40 years of experience building and selling award-winning decks, Bob has earned a reputation as a skilled deck designer and construction craftsman. As a nationally recognized industry expert, Bob also writes a monthly column in the LBM Journal, the leading magazine serving residential construction supply pros. The column provides thoughtful business insights and construction management tips focused on decking and outdoor projects. During Bob’s career, he has created custom deck displays and educated attendees at the International Builders Show in Tokyo, Japan, the International Builders Show held in Las Vegas and Orlando. Bob has designed and built some of these show’s largest deck displays. In short, Bob knows decks! We are proud to support NADRA and it’s members! Our Social Media: Our social media channels are a fun way for The Deck Store Crew to interact with our customers and other businesses. We use our social media channels in a different and light hearted way to help promote our brand. You will see that it is more personal, with updates about our employees and our work days. We would love for you to like us one or all of our sites to see all the great things that we do.